Watching channels in cable will never be the same with AXN. This is short for AXion is a pay television cable owned by the very dynamic Sony Pictures Entertainment which is an American unit of Japanese owned company called Sony. It was first launched in May 22, 1997 and now circulating all throughout the world in different channels. This cable channel features a lot of good shows to watch such as reality shows, animations, movies and TV series. You can find your interests in this channel no matter where age bracket do you belong. The good thing about this channel is that it is distributed around the world. And since not all countries are English speakers, the shows are dubbed in other countries and in some they are given subtitles. This is to make sure that those who will watch the shows will be able to understand what the characters are talking. 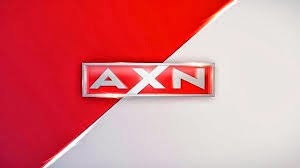 Some of the countries where AXN is aired are Asian countries, Brazil, European countries, India, Pakistan, Japan, Israel and many more. The most popular and unforgettable shows in AXN are The Amazing Race, The Apprentice, CSI:Miami, Canal Road, Stargate Atlantis, I Survived a Japanese Gameshow and many more. Because of the distinction of each show in AXN, it is patronized by so many viewers around the world despite the fact that it went through a controversy in India and banned for two months for airing the program Commercials that was alleged to have affected public morality. It also happened again in Bangladesh on April 25, 2007 wherein AXN and nine other satellite channels were banned which were alleged to have violated the terms and conditions of the Cable TV Network Operation Act 2006. Despite these things that took place, AXN continued to operate in all throughout the world with their quality programs that are worth watching. Right now, the channel is also in the field of commercial business wherein product endorsements are accepted and aired on a certain timeslot depending on the contract. Sit back and relax as AXN tries to captivate your taste of good shows to watch for your viewing pleasure.